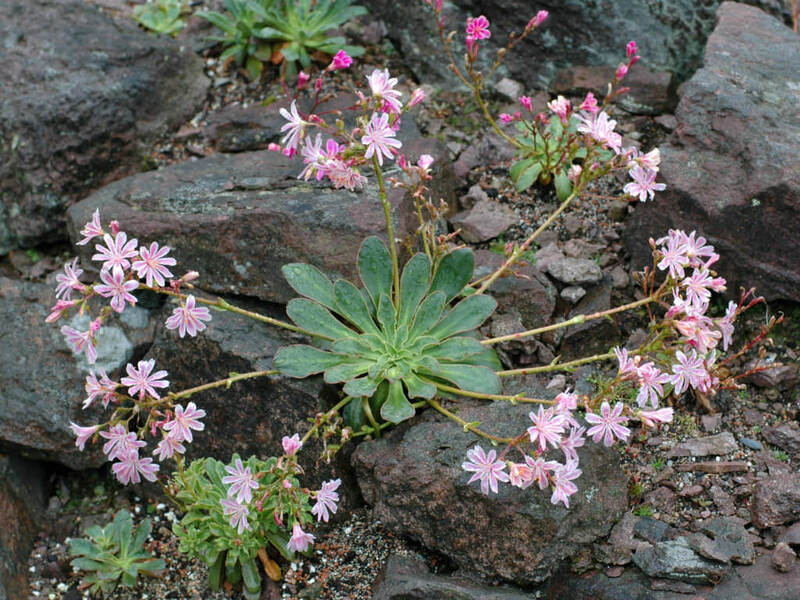 Lewisia cotyledon (S. Watson) B.L. Rob. 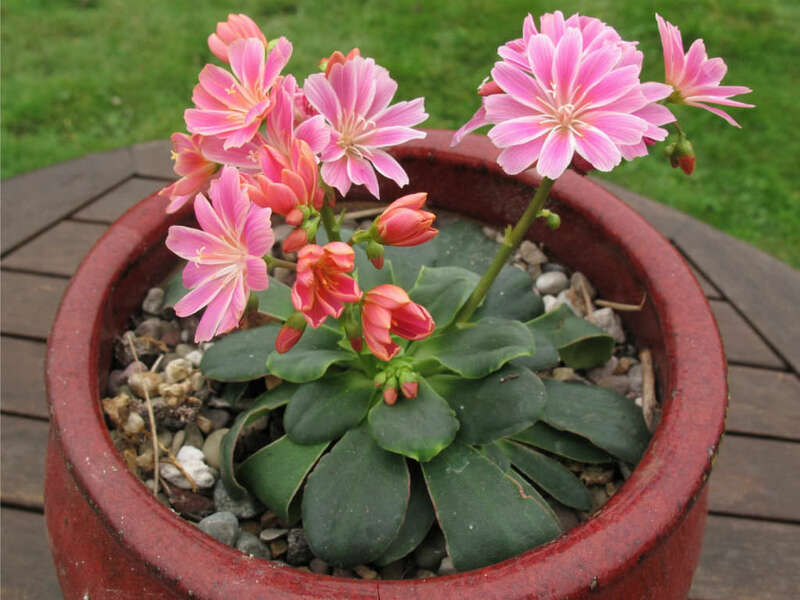 Lewisia cotyledon is an evergreen perennial growing from a thick taproot and caudex unit. It produces a basal rosette of many thick, fleshy oval- or spoon-shaped leaves up to 4 inches (10 cm) long. 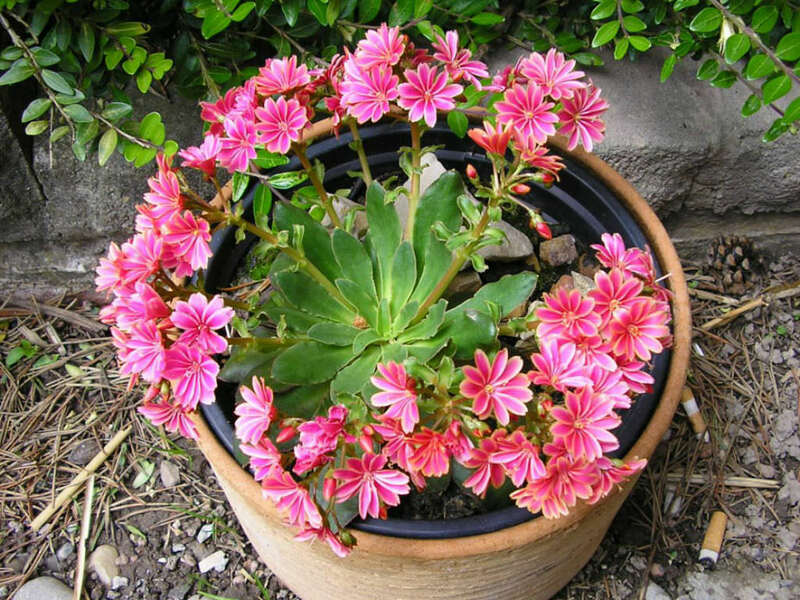 The Latin “cotyledon”, meaning “small cup”, refers to the shape of the leaves. 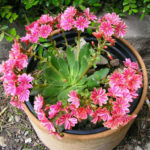 From spring to summer, the inflorescence arises on one or more stems up to 12 inches (30 cm) tall, each stem bearing an array of up to 50 flowers. Near the flowers are small, pointed bracts tipped with resin glands. 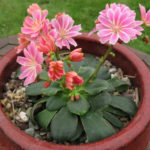 The flower has 7 to 13 petals, each about 0.6 inch (1.5 cm) long. 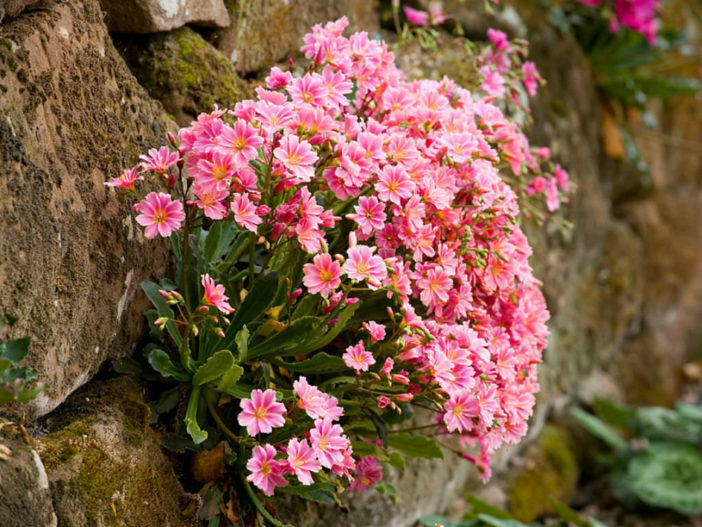 The petals may be pale pink with darker veining, whitish with pinkish orange striping, or solid orange to yellow. 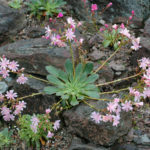 Native to southern Oregon and northern California, where it grows in rocky subalpine mountain habitat.